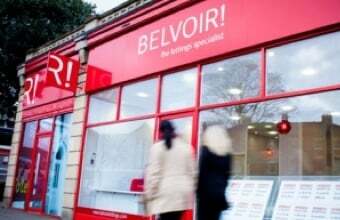 Tips for Landlords (Volume 1): Lloyd's Hire Car Analogy: | Belvoir! Imagine you have just arrived in Italy for a summer getaway which will involve a lot of relaxing, wine drinking and visiting the sights. You decided that you will hire a car this year so you can get around more easily and explore further afield. So, you have gone to collect your hire car. You are excited to be driving around in style whilst you are on your break and you’ve paid a reasonable amount of money to do so. But when you are shown to your car, it is nothing like the shiny pictures in the brochure. Instead, it is a dirty, dented, shadow of its former self with scratched paintwork and an interior that had the remnants of more than one of its previous occupants. There is a chance that you would feel a little disgruntled right now, but there is also a chance that if you were to accidentally kerb a wheel during your hire of the vehicle, you may not feel as guilty as you would have if you had been given a brand new unmarked car from the outset. Because who would really notice it? It was in a bad state to begin with! The same analogy goes for your tenants and your rental property. The better standard of property you provide from the outset, the better standard of tenant it will attract, not only that, the property will dilapidate at a slower rate and over a longer refurbishment schedule. The property will also let faster and with a shorter void periods between tenancies and all of this is based on the initial condition of the property. The rental sector is a totally different business to what it was 10 years ago and despite what the media would suggest, this has very little to do with income levels and instead has been driven by the change in employment and its available opportunities. Ten years ago, rental properties were considered a stop gap between living at home and buying a property and subsequently the wider standard of the properties on the market catered for the budget housing requirement. However, in the present day this really couldn’t be further from the truth, the rental market is predominantly driven by the requirements of the mass majority of the rental sector to be flexibile to go where their employment opportunities are strongest and the concept of buying a property now presents itself as an considerable anchor for both financial commitment and travel to work. Instead what we are seeing is the requirements for high-end homes with the financial stability and security of not having to worry about property maintenance and the flexibility to move with 1 months’ notice should an opportunity present itself or should there be a change in personal circumstance.